Welcome back to Tips for Leading with Confidence. Former Vice President of Organizational Resources Carolyn Blum offers this insight on leadership. As a good leader in the LWML, you are involved with the day-to-day activities of your group, you delegate tasks as needed, and review each person’s involvement. As a better leader, you inspire team members to help develop goals and timelines for the group, encourage them to ask questions, and nurture those who proactively share ideas. You observe how they influence the team, you ask them to volunteer for special projects, and you show appreciation for their opinions and allow them to exercise their leadership skills by working independently. As the best leader, you actively seek out and mentor those with whom you serve and evaluate who has been blessed with the gifts and talents to lead the group when your term is finished. You visit with them occasionally about what you do in your position and perhaps even ask them to volunteer for a task or two associated with the job. While you may not be able to officially offer them your position, you can share your observations and suggestions with those who make that decision. As Christian leaders, we thank God for the privilege of praying for and mentoring future servant leaders! 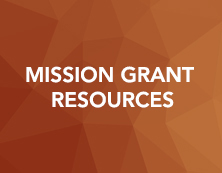 More information on mentoring can be found in the Mentoring Resource Kit. Sign up to receive these leadership tips in your inbox! Everyone has rough days. As Christians we are assured we can call on God to strengthen us so we can continue to serve with gladness. 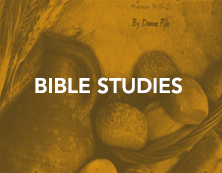 Luke 5 gives us three points to reflect upon and to help us discover the life-saving power of Jesus as we serve and lead. 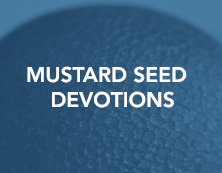 The new Mustard Seed devotion booklet Praise and Patience includes some great meditations that remind us to praise God and exercise patience when times get rough. The confusing Internet world can leave us baffled even when we are not connected. When using written communication referring to the web remember these easy tips. For example: I will log in to my login account. website, webmaster, webservant, webcast, web-page, the web, web address – lower case except at the beginning of a sentence. 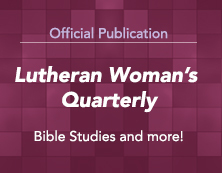 eNews – The LWML electronic newsletter begins with a lowercase e followed by a capital N.
eQuarterly – The electronic version of the Lutheran Woman’s Quarterly begins with a lowercase e followed by a capital Q. The electronic version is not italicized. Recommended fonts include Arial, Verdana, Helvetica, Times New Roman and Georgia. Other fonts may not convert to PDF documents correctly. 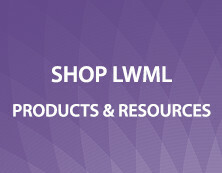 Additional information regarding spelling and capitalization can be found in the LWML Style Book here. Volunteers make necessary and important contributions to any group. Their compensation comes from fulfillment of individual goals and motivational needs. Recognition is important in their continued motivation to serve. Make a phone call expressing your thanks. Include their accomplishments in a newsletter. Reward them with a meaningful gift. Host an appreciation event to honor volunteers. Send out an email expressing your appreciation. Post photos of your volunteers on a church bulletin board or website. The LWML resource Volunteers in Christ’s Ministry includes more information on honoring volunteers. Whatever you do, work at it with all your heart, as working for the Lord, not for men, since you know that you will receive an inheritance from the Lord as a reward. It is the Lord Christ you are serving (Colossians 3:23-24 NIV). Leaders can get busy taking care of business and neglect themselves. Taking care of your body, mind, and soul will leave you energized to take care of others. The Leadership Development Committee challenges you to one of these activities this week. Body — Take a walk or reach for a glass of water rather than that extra cup of coffee or soft drink. Mind — Make a phone call to an old friend just to connect or spend time in appreciation of God’s wonderful creation. Soul — Meditate on a Psalm and apply to your life or make of list your blessings and thank God for them. Let us know the results. What did you try this week and how were you blessed? Have you participated in an LWML video conference? Are you considering using video conferencing? Video conference meetings will likely become the new normal for future generations. An obvious benefit is the dramatic reduction of time and monetary costs to the organization and volunteers. Jeremy Barlow, Director of Digital Marketing at BoardEffect gives these basic tips for running a video conference smoothly. Always test audio equipment and the virtual meeting space at least 15 minutes prior to the meeting. Check the lighting for problems with shadows or reflections from windows. Ask participants to mute their line, rather than put it on hold to avoid hold music from being played during the meeting. Plan a detailed agenda and keep the video conference moving by interspersing long and short agenda items. Refrain from checking email or multi-tasking during the conference. If using a video option, dress to keep a professional appearance. Be aware that others can hear and see what you say and do, including unintentional utterances. The main concerns around video conferencing are related to learning new technical skills and the loss of comradery among members. One LWML district encouraged their members to gather together in small groups to join the video conference. This fostered personal interaction and allowed the most computer savvy individuals to facilitate the technology needs. Video conferences, like in-person meetings, will always include a few glitches. As leaders, we need to be organized, keep our sense of humor, and model forgiveness when things do not go perfectly. Share with us what has made your experience with video conferencing successful. The average person speaks at a rate of about 250 words per minute but we can form thoughts at about 2000 words per minute. How can we keep our audience engaged? A slide presentation to accompany an oral dialogue can help to keep the day dreamers to a minimum. Below are some tips to keep in mind when preparing a slide presentation. Preparing a slide presentation? Here are some tips to make it more effective. Consider using only one message per slide. Your audience will have the opportunity to absorb the concept and it prevents the slide from being a distraction. Refrain from using slides that repeat the words of your speech. Visual aids should complement the words you are speaking. Be aware of your stage presence. Stand to the left of your screen. A person’s tendency after reading a screen is to return their eyes to the left. As with any presentation, stand up straight, keep your arms to your sides except for intentional gestures, look out into your audience and smile.